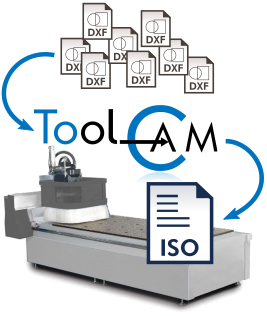 ToolCAM allows you to convert drawings in DXF format into ISO code in a simple and effective way. 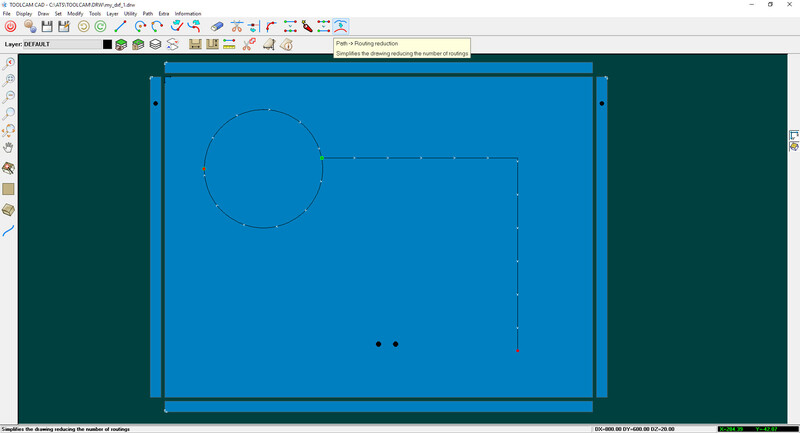 ToolCAM is a powerful program to convert DXF files into ISO language for numerical control machines. 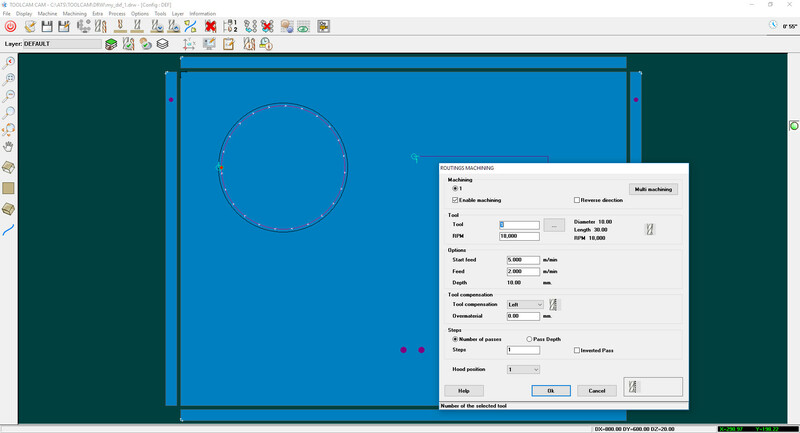 With ToolCAM it is possible to obtain directly, or through a dedicated Layer structure, the Part-Program for different types of CNC machines offering a simple and low cost solution to import DXF files and convert them into machining. 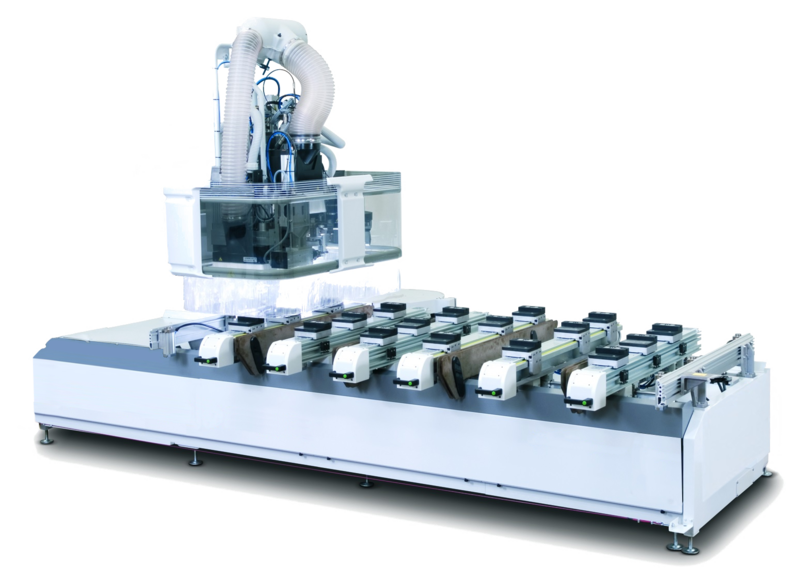 The import is dedicated to machining on a single volume, allowing you to manage them on all faces. 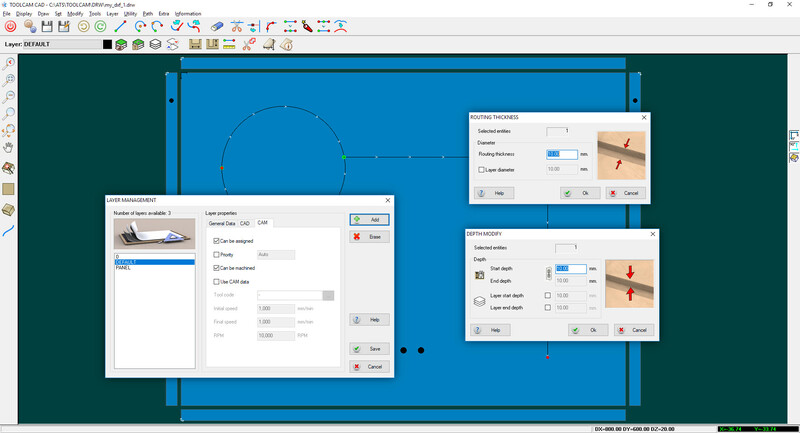 A simplified CAD environment allows you to preview imported profiles, instantly displaying the start point, end point, and direction of the paths obtained. It is thus possible to highlight any points of discontinuity. It is possible to intervene partially on previously imported paths by changing direction, start point, end point, and make additional minor changes. Using the integrated CAM environment of ToolCAM, it is possible to associate tools to the profiles, automatically or by selecting them from the tooling list, specify the machining properties and determine the desired sequence. 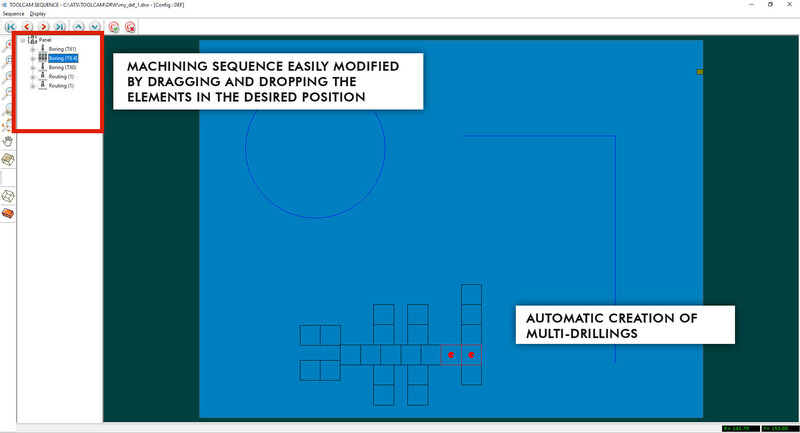 In the case of multiple drills, the program will automatically recognize and create MultiDrill. Many other parameters are available to get the result desired. ToolCAM supports a large number of CNC machines with several numerical controls. ToolCAM supports a large number of CNC machines with several numerical controls including CNI-RTCOM, XNC500, XNC1000, CID and CIDx language, TRIA, KVARA, XILOG3, XILOG4, XilogPlus, Osai 8600-8601, Osai Series 10, Osai Open, Siemens, Bosh, ESA and many other numerical controls, giving support to machines of various manufacturers. ToolCAM is the ideal tool for CNC machines dedicated to the world of wood, aluminum, plastic, marble, glass and any other material processed with a numerical control machining center. Your CNC machine is not listed above? ToolCAM is intended for End User, Machine Manufacturers and Resellers. Convert drawings created with generic CAD into programs for a CNC machine is a common need and it is not always possible to do it easily with the tools you have available. 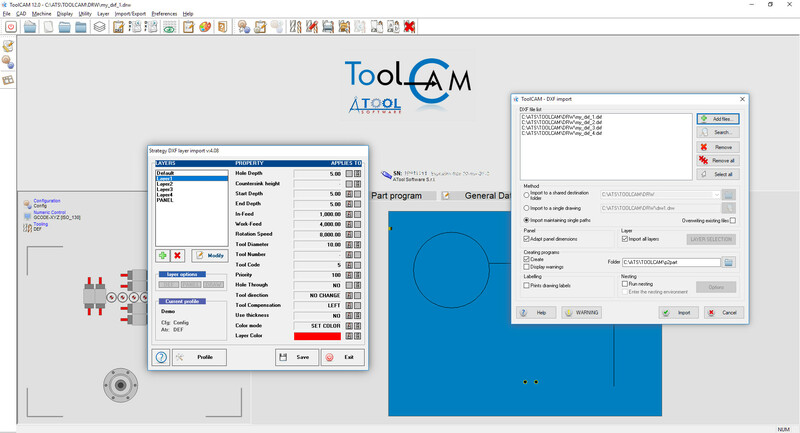 ToolCAM is an optimal solution for those who already have a CAD environment. With ToolCAM it is possible to provide customers with a low cost and at the same time powerful and functional solution, equipped with a complete CAM environment to optimize the machining. 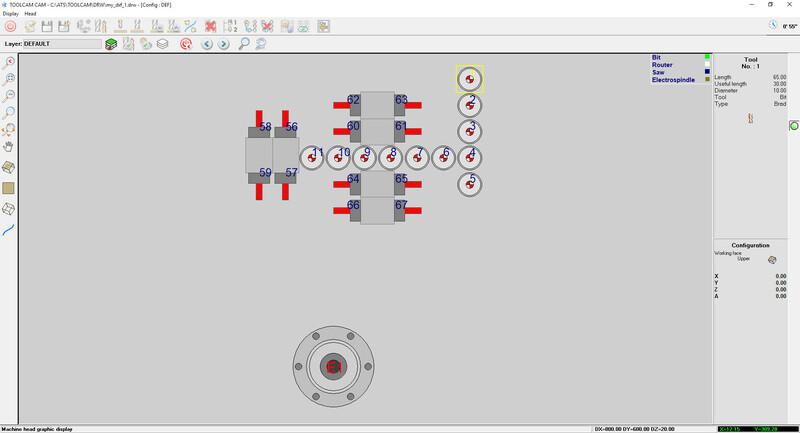 It will also be possible to upgrade ToolCAM at any time to meet the customer's needs, with the possibility to integrate it with the Nesting Module or to upgrade it to PARTNER/ASPAN, thus also making use of a complete CAD environment and further features. Machines can be equipped with obsolete software that strongly limit the user, requiring in some cases the direct writing of the ISO code or antiquated programming procedures. With ToolCAM the customer who buys a used machine, will have a simple and powerful CAM tool, at low cost and will enjoy all the potential of a modern and expandable software. The video below illustrate the main features of the product.